Address the root cause of blood sugar imbalance that can lead to hyper- and hypoglycemia, prediabetes and type 2 diabetes. More than 125 million North Americans have diabetes or prediabetes, with 2 million new diagnoses each year. Of these people, 90% have type 2 diabetes, the most common form of the disease. Most frightening of all: over 79 million North Americans are unaware they have prediabetes—blood sugar levels that are higher than normal. 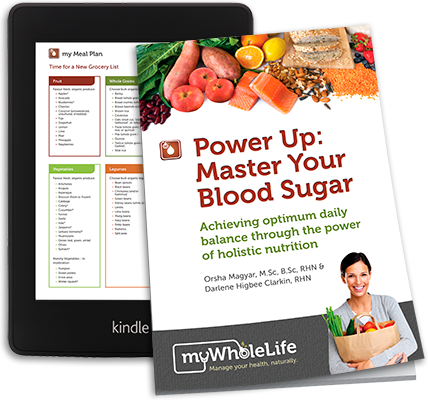 Power Up: Master Your Blood Sugar will change your life—or the life of someone you love.